Mr. Jagne currently serves as a Generational Equity Managing Director working directly with private middle market business owners throughout North America in developing and executing their exit strategies. In his role, Mr. Jagne’s responsibilities include identifying prospective buyers & investors, preparing marketing materials, building financial models, as well as managing the marketing, due diligence and negotiation phases in order to facilitate deal closings. Mr. Jagne has been involved with over 100 of Generational Equity’s clients, participating in all facets of the professional M&A process ranging from initial valuations through the final sale of companies. Mr. Jagne has been recognized by Generational Equity as the Associate of the Year and some of the transactions he has worked on have won national M&A awards, including the acquisition of U.S. Logistics, Inc.
by Ranger International in 2009 and the acquisition of Kussmaul Electronics Co, Inc. by Evolve Capital in 2011. 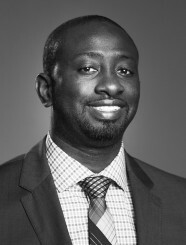 Mr. Jagne holds a Bachelor of Science degree from the University of Bridgeport in Connecticut and an MBA with a concentration in finance from the University of Texas at Arlington.